Gets hotter. 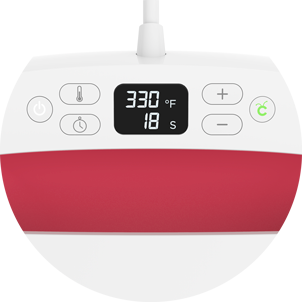 Heats faster. Works magic. The speed of a heat press. The convenience of an iron. Our Interactive Quick Reference Guide means no more guesswork. 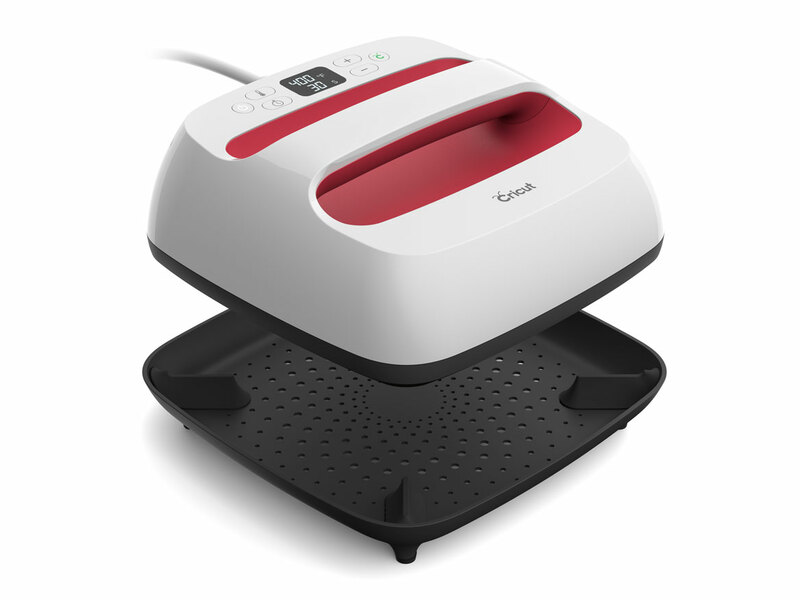 The evenly heated plate adheres your iron‑on film in 60 seconds or less. Even after repeated washes, your designs will really stick. 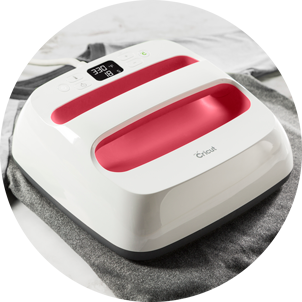 From petite to XL, the Cricut EasyPress 2 family has every project covered just right, from pint-size funsies to everyday T-shirts to oversized hoodies, banners, blankets, and more. No more vague dials and frustrating guesswork. We give you precise settings that have been rigorously tested using every iron-on type. And our Interactive Quick Reference Guide makes sure every project is set up for success. Its large handle makes it extra easy to maneuver. The insulated Safety Base keeps it protected when not in use. And its auto-shutoff feature turns it off after 10 minutes of inactivity. All so you can keep your mind in creative mode, not worry mode. Professional iron-on results in 60 seconds or less. Compatible with most major brands of heat-transfer vinyl (HTV). A perfect complement to Cricut smart cutting machines. A mat of many layers. 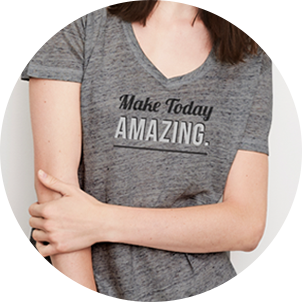 Protect your surface and achieve flawless iron-on applications with this essential Cricut EasyPress companion. 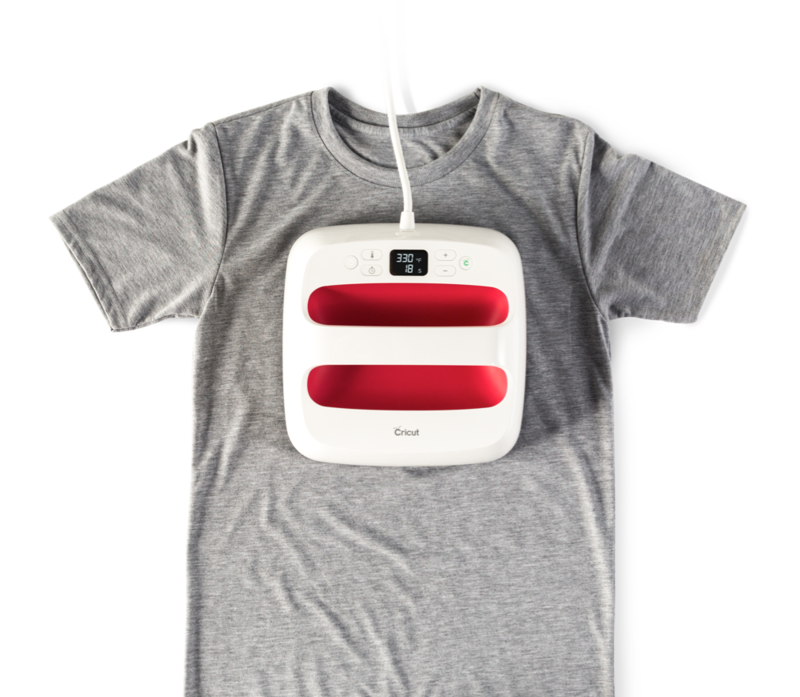 Five layers of heat-resistant, moisture-wicking insulation create the ideal environment for foolproof iron-on results. Available in three sizes.